Love Story: From A Gas Station To Married With Kids Majid Al-Bahadli grew up in Iraq; he came to the United States after the first Gulf War. But it was his job as a gas station cashier — and a problematic ATM machine — that helped him meet the woman he would later marry. 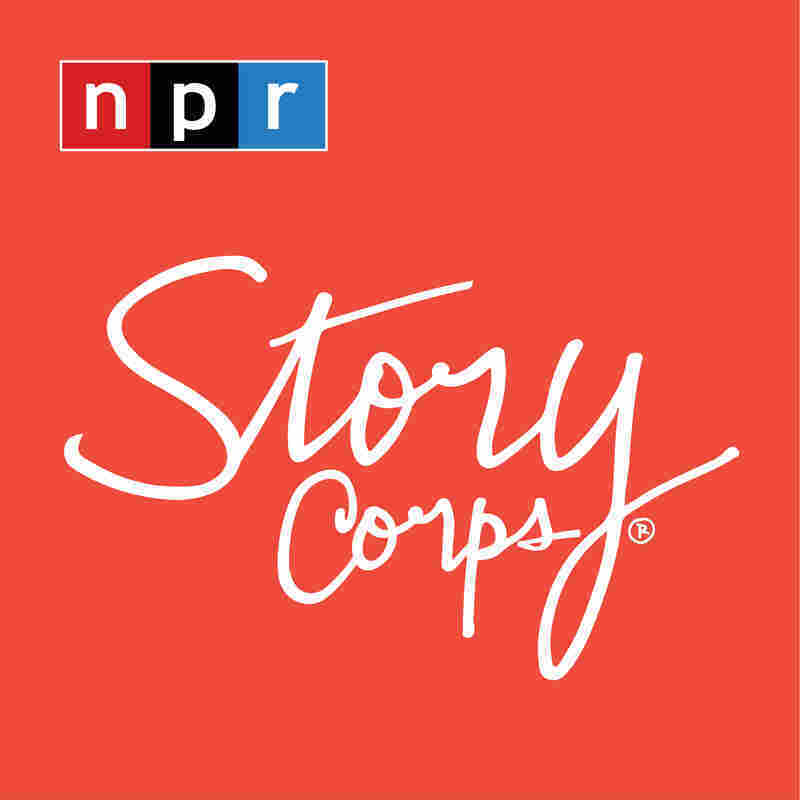 Majid Al-Bahadli and his wife, Diana Klatte, spoke at StoryCorps in Seattle, Wash.
Majid Al-Bahadli grew up in Iraq; he came to the United States after the first Gulf War. But it was his job as a gas station cashier — and a problematic ATM machine — that helped him meet the woman he would later marry. 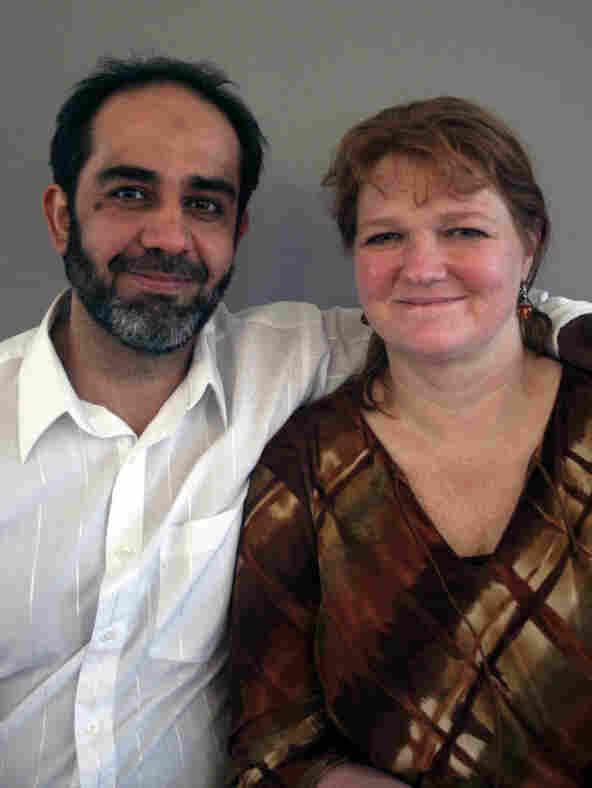 Speaking with his wife, Diana Klatte, Al-Bahadli says, "I was working in the gas station. You came and you tried to use your debit card in the machine, and the machine didn't work. "I managed to have 5 minutes [of] conversation with you, and I gave you my phone number," he says. "And I wrote it on the slip, and I said, 'I would love to get to know you better.' "
"And I said, 'I'm not going to call you, because I don't know you,' " she recalls. "And you took it!" he says. "I did take it, but I didn't call you," she says. "You didn't call me," he agrees. But then, he notes, "a month later …"
"I came back," Klatte says. "And I wasn't even sure if you'd be working. But, I went inside, and there you were — and you knew instantly who I was." "Because I was waiting! Counting days! And nights!" he says. And during that month of waiting for her, Al-Bahadli says, he was constantly wondering: "When is she going to call me, this beautiful redhead?" "You thought that maybe I gave you a lie," she says, laughing. She had given him her real phone number, and finally the two set up a date. "I waited for an hour, hour and a half," Al-Bahadli says. "But it was Tuesday," Klatte says, "and, of course, we had actually arranged to meet on Thursday." "But the question is, have you fell in love with me?" Al-Bahadli says. "Well, of course I fell in love with you!" Klatte says. "But it wasn't the first time I saw you. For me, it took getting to know you. You know, there were issues about men and women that we had to figure out. We worked through a lot. We had to have a lot of conversations." The couple eventually married, in November 1999. They still live in Seattle, where they have three children together. These days, Al-Bahadli, a naturalized U.S. citizen, works as an auto technician. "Do you have any regrets of marrying me?" Al-Bahadli asks. That makes Klatte laugh. "No. I wasn't a kid," she says. "I mean, I was 30 when we met." And then she turns the tables on her husband. "Yeah, how about you?" she says. "Can you imagine what would have happened if you hadn't married me?" "I don't know. I never thought about it," Al-Bahadli says. "Why you want to go to the nightmare when you have a beautiful dream? Scary question."